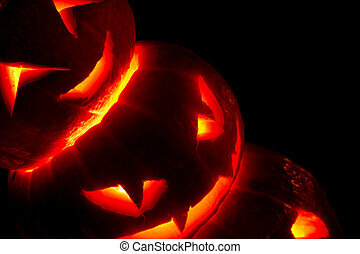 Illuminated carved halloween pumpkins lanterns. 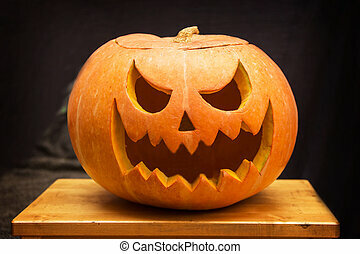 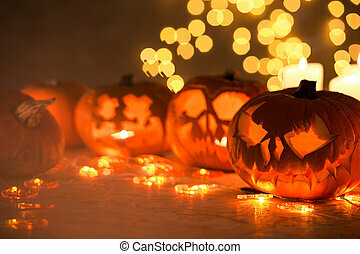 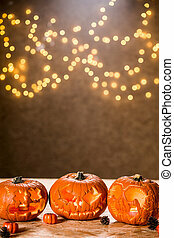 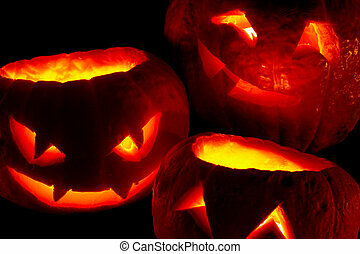 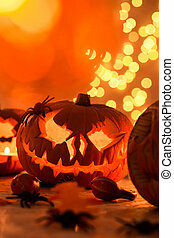 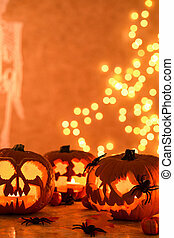 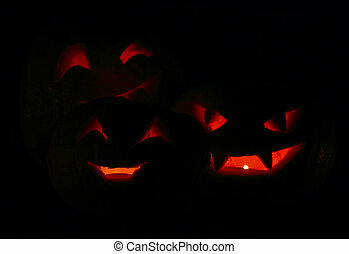 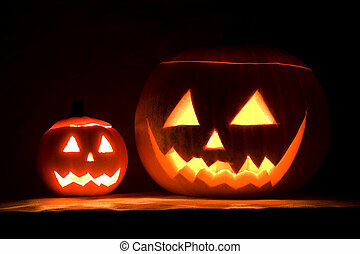 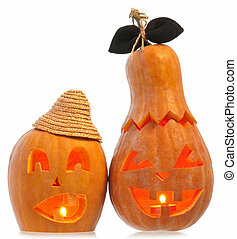 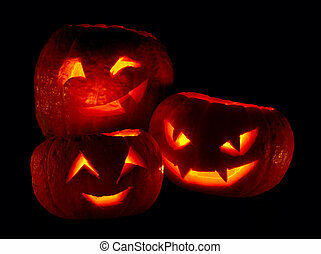 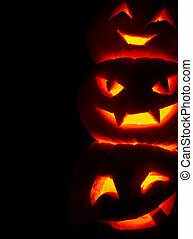 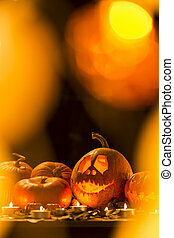 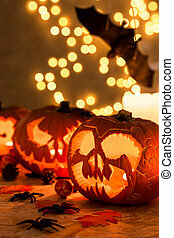 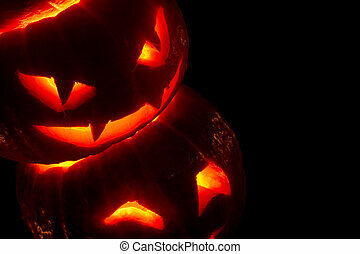 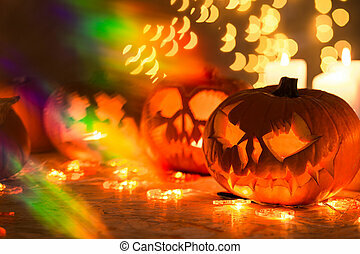 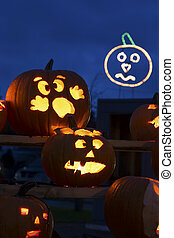 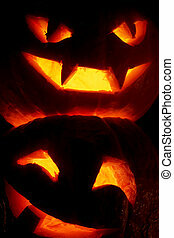 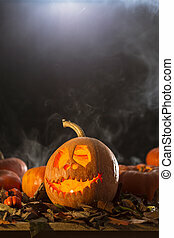 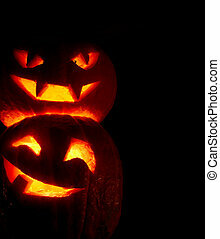 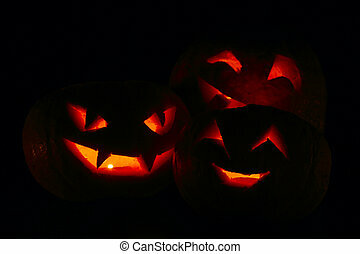 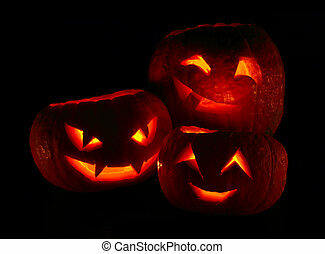 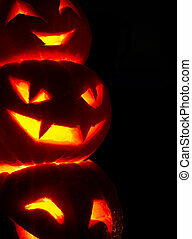 Picture of illuminated carved halloween pumpkins lanterns. 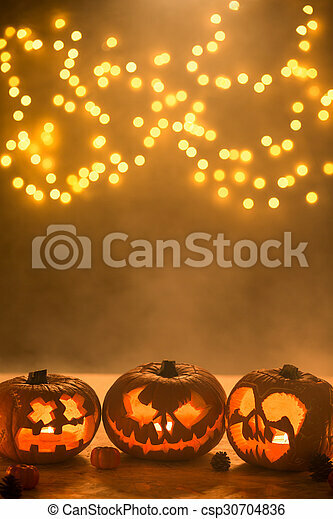 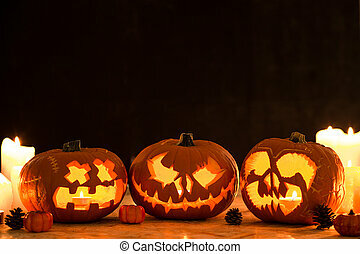 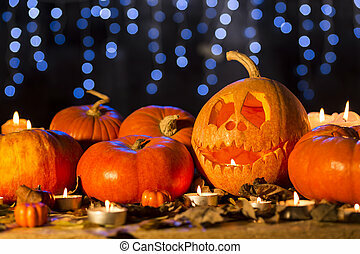 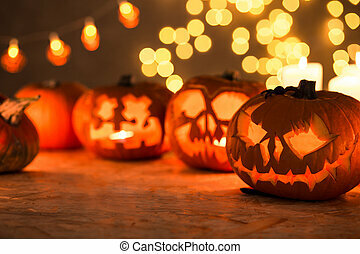 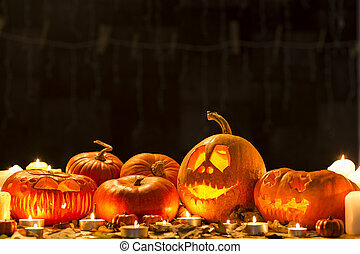 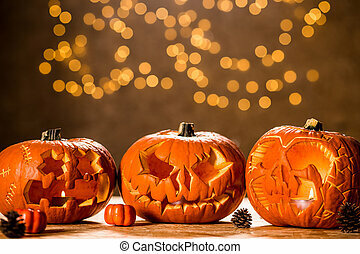 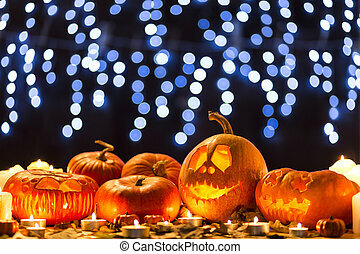 A group of Halloween pumpkins lit up in an outdoors display.